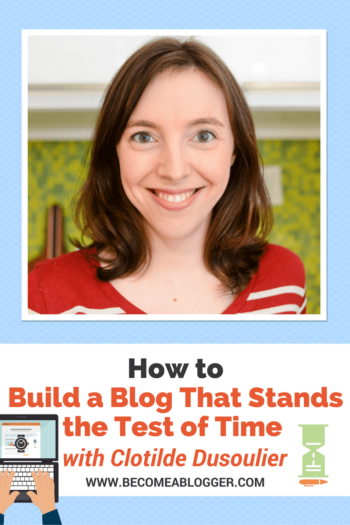 Will your blog stand the test of time? Are you ready to evolve and change your strategy as the internet changes? Clotilde Dusoulier has been blogging since 2003, and was part of the first generation of food bloggers. In fact, she was the first-ever French food blogger. She’s seen some huge changes in the blogging world and she’s weathered every storm. Clotilde is here today to help you build a blog that will stand the test of time. Clotilde moved from France to Silicon Valley in her early twenties as a software developer. While she was there, she discovered a passion for food and for cooking. Her blog, chocolateandzucchini.com, started simply as a creative outlet. She has no formal training in the kitchen, so she writes from the perspective of a home cook. The daily process of cooking is ideal for a blog format, and Clotilde loves to share what she’s learned with others. The blog started in 2003. By 2005, Clotilde had left her office job and was writing about food full time. Back in 2003, hardly anyone even knew what blogging was. But because Clotilde was working in software development, she was a little bit ahead of the game when it came to what people were doing on the internet. She quickly discovered a small food blogging community and became part of that first generation of food bloggers. Clotilde named the blog after two ingredients that she loves and that reflect her cooking philosophy. Zucchini represents seasonal, organic, and local produce, fresh ingredients, and healthy living. Chocolate is her passion. She even belongs to a chocolate tasting society in Paris! Clotilde says the blog has been a driver of curiosity and learning in her life. She says that she would never have reached her current level of knowledge and expertise without her blog. It gives her the motivation to stay current, to try new things, and to provide great value for her readers. When she started chocolateandzucchini.com in 2003, WordPress wasn’t an option. She built the blog on Movable Type, where it stayed for quite some time. Eventually, she migrated the blog to WordPress because it allowed for more options and plugins. She wanted to focus on the content and not have to do so much heavy lifting in terms of the look and feel of the blog. 2004-5 saw a big boom for food blogs. 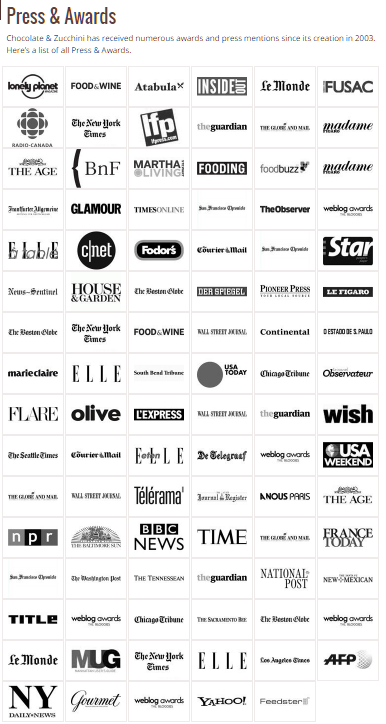 Suddenly, every local newspaper in the country was running a story about which blogs you should be reading, and Clotilde was often included in their round-ups. 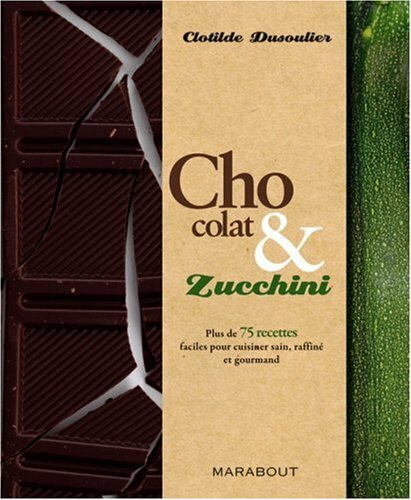 As food blogging began to take off, lots of second-generation food bloggers began to credit Clotilde’s work as their inspiration and link back to Chocolate and Zucchini. Clotilde says that this was all good luck carried by great content and persistence. The blog really started off as a creative outlet with no agenda. She had no notion that it could one day become her business. In 2005, Clotilde made the huge decision to leave her job as a software developer to work on food full time. At first, it wasn’t just blogging: she was doing freelance writing, consulting, and food tours. The blog itself has become a bigger portion of her revenue over time, although she still does a variety of things related to food and writing. At the time, Clotilde was slowly realizing that food blogging made her happy, and that it made her significantly happier than working as a software developer. She started looking for ways to spend more time with the blog. The big push to leave her job came when she got offered a book deal for her first cookbook, Chocolate and Zucchini. The money from the publisher’s advance gave her the impetus she needed to move into full time food writing. Was she afraid? Not really, she says. She had her doubts, but she was relatively young with no children to worry about yet, and she felt that she could always go back to being a software developer if things didn’t work out. She says that over the last 13 years she’s learned to trust life and to trust in “internet karma.” Basically, if you do good work and show up, good things will happen for you. And there’s always other options if you need them. But the first year was hard. Clotilde says that working without an outside structure was a big challenge. She had to learn her own rhythms and figure out when and how to work. She’d also never written a book before! Being a food blogger hasn’t always been easy, but Clotilde says that the most important thing she’s done is to keep a clear vision of what she’s about and what the blog’s about. She’s clear about her boundaries, what she will and will not include as content, and about maintaining her work-life balance. That doesn’t mean the blog is exactly the same as it was in 2003. 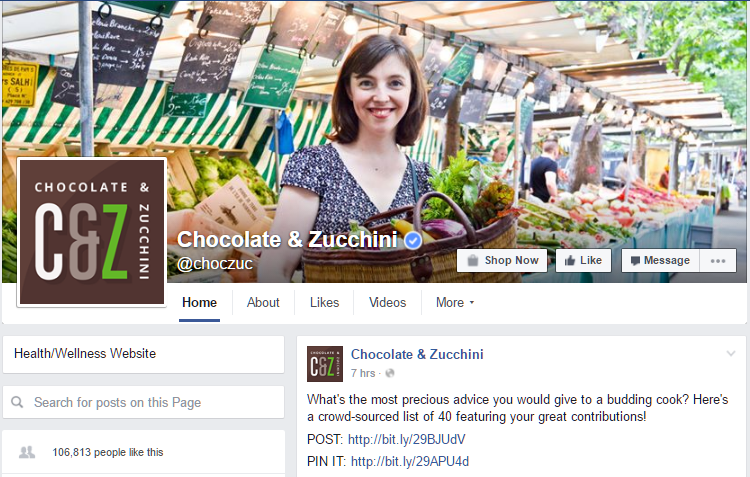 Chocolate and Zucchini has had to adapt to a few internet revolutions. There’s been so much change in the past thirteen years, and you can’t always see changes coming. But Clotilde has been successful because she’s learned to embrace change and be open to it. From the beginning, she’s kept her imaginary reader in mind, and she writes as if they’re sitting in her kitchen with her. She pictures her sister or a good friend reading the blog, and writes as if she’s just talking to them. You need a consistent, genuine voice in order for your blog to stand the test of time. Clotilde says to show up as yourself and share what you’d share with a friend that you want to help. Clotilde says that being to open to criticism from her readers about the content has been really important. She tries to find a balance of what she’s interested in and what her audience will be looking for. But how do you know what your audience wants? Clotilde sets up regular surveys on her blog. She also tries to chat to people as much as possible through her newsletter and her autoresponder series. She always includes an invitation to write to her at the end of her communication with her audience because she genuinely wants to engage in a conversation with them. It’s ideal to get to know your audience in an organic way. Clotilde advocates a personal touch. 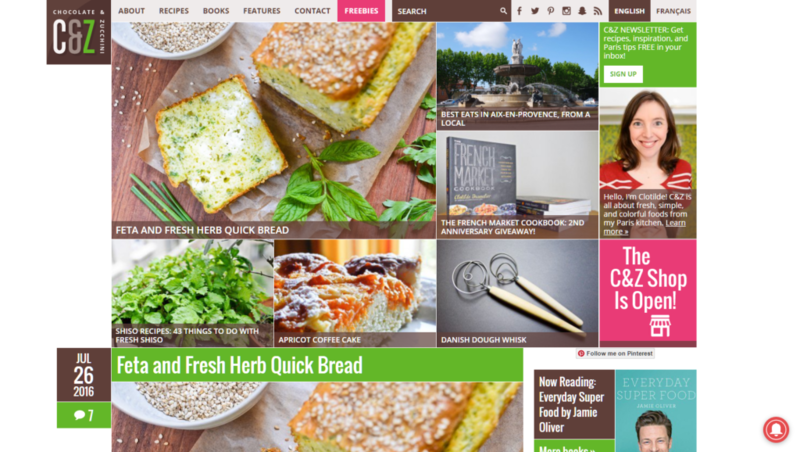 People might come to her blog for the recipes, but they really want the story that goes along with each recipe. In every post, she tries to share a tip or a special insight that you might not find anywhere else. Remember that no one can replicate who you are. The uniqueness of your blog comes from putting yourself into the content. Your audience needs to be able to relate to you. This is something that Clotilde really prioritizes, and as a result she has some loyal readers who have been with her since the very beginning. They trust her, which is the #1 asset in any blog. You want your audience to think of you as their resident expert, the person they can trust to keep them in the know. You want them to trust that you’re doing the research so they don’t have to. Think about it this way: there are so many places that people can get information these days. Why should they come to you? You want people to relate to who you are, your story, why you’re doing what you’re doing. That’s how you build a loyal base. Back in 2003, you really just had to worry about your content. Now, you’ve got to work the marketing angle. There are so many more ways to bring your content to fresh eyes, so publicizing and promoting your content has become a big part of the work. Clotilde says that you can’t always catch every wave. When Pinterest became big a few years ago, she’d just had her first child and she wasn’t in a place where she could really engage with it. That’s okay. You can still do what you need to do. She may never be big on Pinterest, Clotilde says you’ve got to be realistic about what you can and can’t achieve. Burning out isn’t the answer. You can’t spend your time on everything and still do your job well. Remember that whatever changes get thrown at you, your first responsibility is to create great content. You need to protect that priority above all others. After that, be on the lookout for what speaks to you. Clotilde is currently having a lot of fun with Snapchat, for example. Another key to helping your blog stand the test of time is developing a network that you can bounce ideas off of and who will help you stay on top of things. They may bring up ideas that you’d never considered before. Keep a clear vision. This will help you weather any storm. Be adaptable to change. This means changes in yourself as well as changes to the internet. When Clotilde first started her blog, she was really into fancy, restaurant-style plating, but having kids now means that she’s much more interested in speed! Don’t worry if the old content doesn’t “match” the new content. Just keep that vision in mind. You might lose some readers as you change, and that’s okay, too. Always ask yourself if you’re enjoying it. If not, what’s the point? You don’t have to love every second, but it has to be fulfilling. If you feel resentful of your blog or weighed down by it, maybe this isn’t the platform for you. Be ready for the blog to become a member of your family, or an extra limb. It will integrate into your life. It will grow and change with you. You need to allow it to evolve as you do. I asked Clotilde how she creates great content on a consistent basis. She says the most important thing is passion for the topic, and curiosity to find out more. After that, it’s all about doing research and asking follow-up questions. Finally, I asked what her top recipe was. Clotilde suggested the French Yogurt Cake, which is very popular on her site and apparently very easy to make. She said it’s often the first cake that French children learn to bake. Such an honor and a treat to be on the show, Leslie. Thank you! And to everyone listening/reading, I will keep an eye on the comments here and respond to any question you may have. Nice episode! Curious to know how many times the website has gone through changes in design/theme in these 13 years. I’m a casual web designer/developer, but not very keen on changing my website’s design/theme because it’s a lot of work involved (partly because I’m a perfectionist). Ideally, I want to keep the same look for the next 10 years! Thanks for listening, Joey! For the first 10 years I handled the template design myself (I have an IT background) and refreshed it continually here and there, with a bigger update every 3 years or so. When I migrated over to WordPress though, I did a complete redesign and outsourced the design and the development of the theme. I would say if you’re going with WordPress and purchasing a theme, I understand most themes get regular upgrades over time to keep up with new features and trends. However, your logo/branding will likely require personalization, and then it’s nice to refresh it every 4-5 years at least to keep it looking current. This has been my favourite interview so far! I’m a food and wellness blogger, documenting what I learn as I study to become a nutritionist. I loved the part where Clotilde said she uses every recipe to educate her reader. This has been my goal since the beginning of my blog. 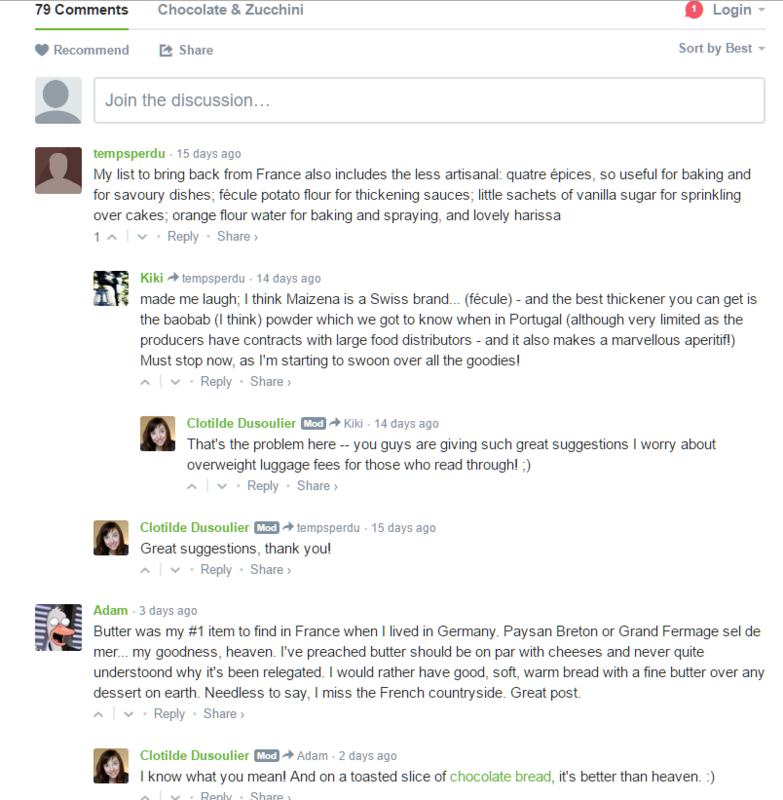 I love French food culture and one of my posts with the highest traffic is “How the French Stay Slim while the World Gets Fatter”, which I was inspired to write following the release of a major study on international obesity rates. Can’t wait to try the yoghurt cake, too! Thanks so much, Sarah, I’m very happy to hear you enjoyed the interview. And I look forward to checking out your blog!